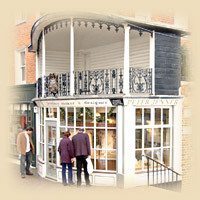 Peter Jenner, Jewellery Designer and Maker is well established and highly regarded in an area rich in history and beauty. The shop is based in the historic Pantiles area which lies at the heart of the fashionable Spa Town of Royal Tunbridge Wells, set in the picturesque Kentish countryside of south-east England. 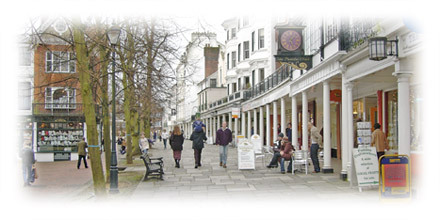 The town became famous as the elegant resort that grew around the spa waters located in the area known as "The Pantiles". It was a focal point for the distinguished, genteel Georgian society that cultivated it, a royal playground for kings and queens and their courts, and remains a site of English elegance, style and culture to this day.